Free Christmas clip art images can make your newsletter, Christmas cards, party invitations, Santa letters, thank you cards or Christmas letters stand out from the crowd. Simply download the free Christmas clip art images you like and quickly add them to the Christmas project that you are working on. It's such an easy and quick way to make your project shine this year. You'll find free Christmas clip art of Santa, Christmas trees, candy canes, snowmen, reindeer, gifts, penguins, titles, candles, stockings, bells, ornaments, teddy bears, wreaths, holly, angels, nativity scenes, stars, holiday lights, and a whole lot more. There are all different styles of Christmas clip art ranging from the modern to the fun, to the vintage images that will remind you of Christmas' past. You may find that you have a tough time choosing a style because these images are all so pretty and fun. 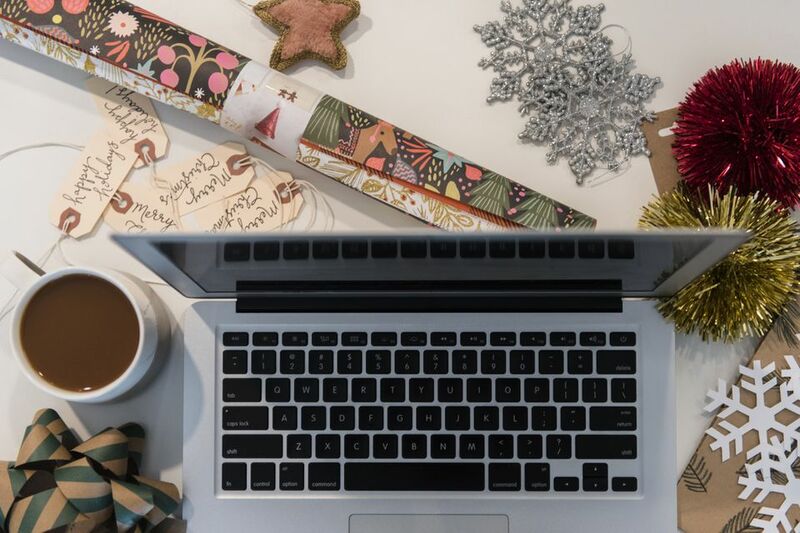 Get more specific in your search of free Christmas clip art by downloading some free Christmas tree clip art, Santa clip art, or Christmas borders. You'll also want to get some free Christmas fonts to make your project complete. Love this free Christmas clip art? You can find even more Christmas freebies to celebrate the holidays for less. 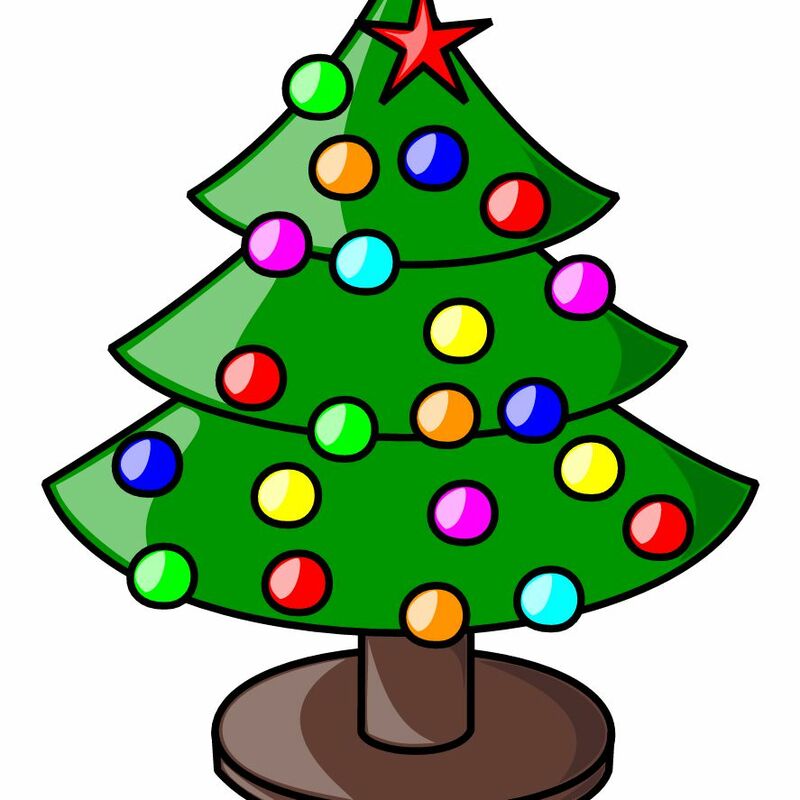 Openclipart is another great source for free Christmas clip art. There are over 30 pages full of clip art here! Most of the free Christmas clip art at Openclipart can be downloaded as a big, medium, or small PNG image. You can also get them in the WMF or PDF format. At WP Clipart you can choose from free Christmas clip art including angels, animals, bells, candles, candy canes, carolers, signs, decorations, elves, gift tags, gifts, greetings, holly, ornaments, religious, Santa, scenes, snowmen, stars, stockings, trees, and wreaths. Each category of free Christmas clip art has anywhere from a handful to hundreds of free images you can download. Lee Hansen Graphics has a nice amount of free Christmas clip art that includes stockings, gingerbread men, Christmas trees, bows, holly, nutcrackers, wreaths, angels, snowmen, bells, candy canes, and penguins. At the bottom of the page of the free Christmas clip art, you'll also find some wonderful Christmas borders of holly, gingerbread men, snowmen, and snowflakes. You'll find yourself scrolling down, down, down to view all the Christmas clip art images in this giant list over at HubPages. There are Christmas clip art images of Christmas trees, wreaths, presents, stockings, gingerbread men and women, snowmen, winter scenes, snow globes, candy canes, bows, and holly. I just adore the free Christmas clip art over at Homemade Preschool. They're so unique and colorful! Most of the free Christmas clip art here you can choose to view in black and white or different colors, making it easy to get a new look from the same image. You'll find all kinds of free Christmas clip art over at Christmas Graphic Plus, including animated and non-animated images. Browse through the Christmas clip art categories like banners, bells, and bows, candles, candy canes, Christmas trees, elves, presents, reindeer, Santa, snowman, stockings, toys, and wreaths. After you click on the subcategory click Download under the Christmas clip art image, you'd like to download. The picture will be displayed in its largest form, and then you can right-click it to save it. Phillip Martin is a great digital artist who's created this wonderful free Christmas clip art. Click on the titles to view free Christmas clip art of angels, bells, Bethlehem, candles, Christmas trees, the holy family, mistletoe, nutcrackers, presents, Rudolph, Santa, shepherds, snowmen, stockings, wise men, and wreaths. Choose from free Christmas clip art of angels, candy canes, elves, ornaments, Santa, trees, bells, reindeer, snow, wreaths, candles, gifts, houses, and stockings at Hellas Multimedia. The Christmas clip art here includes animated and non-animated images. There are 12 pages of free Christmas clip art here including a separate category for Christmas backgrounds and borders. You'll find all sorts of free Christmas clip art images here of Santa, wise men, elves, ornaments, Rudolph, candy canes, candles, Christmas gifts, Christmas trees, sleighs, gingerbread men, snowmen, wreaths, and stars. Clipart Panda has 70+ Christmas clipart images of ornaments, candy canes, Santa, Christmas trees, stockings, ribbons, and more. On each download page, you can see the views, downloads, filetype, and dimensions of the free Christmas clip art image you're looking at.